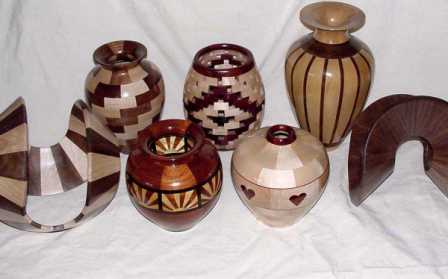 This intermediate to advanced wood turning course emphasizes the art and possibilities of segmented wood turning and will cover other turning techniques such as closed form, natural edge and multi-centered turnings. The main objective is improving the student’s skill in the use of lathe, tools and machinery. The student will design and execute projects using various turning techniques for the creation of wooden bowls, vessels and sculptural objects. Emphasis is placed on proper technique, safety and shop policies. Please read: No class 2/17/19, 3/24/19, 4/21/19.